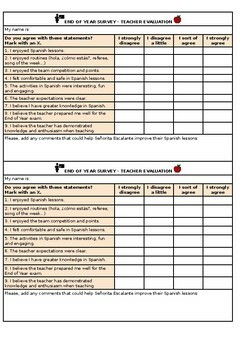 A fun teacher evaluation focused on languages and motivation in the classroom. It evaluates Spanish, but you can download and change the subject. This teacher evaluation reviews lessons taught by a communicative approach.